Lovers of E’s Fashion Police can finally exhale, E announced a replacement for Joan Rivers on monday and it is non other than Kathy Griffin. Although Kathy herself admitted to being on “every worst dressed list imaginable,” she is very excited and was quoted as saying “I get it! These are some big shoes I’m going to fill. Joan was truly one of a kind. Now I hope you will accept me for me. I’m just Kathy. Did I say I’m just Kathy? I meant I’m Kathy F***ing Griffin and you celebrities better strap yourself in, as I am taking no prisoners. I am not holding back so DAMMIT let’s have some fun!” Griffin said. The network confirmed that the comedian will work with Kelly Osbourne and Giuliana Rancic. Celebrity stylist and television personality Brad Goreski is also set to join the ladies. 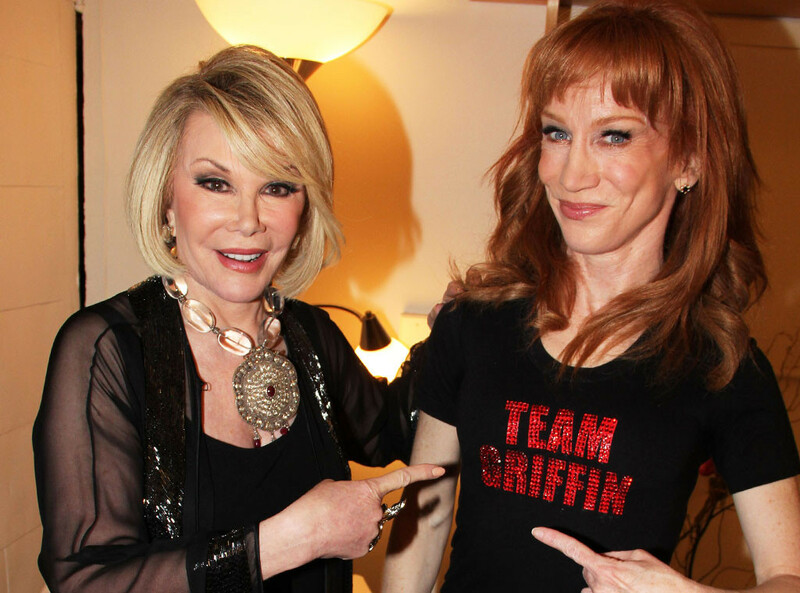 Fashion Police will never be the same without Joan rivers but Kathy Griffin is as good a replacement as Fashion Police is ever going to get so buckle up guys! The show is slated to start on the 12th of January 2015.